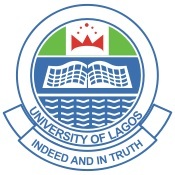 We are glad to inform and notify all candidates of the University of Lagos (Unilag), that the official List Of UNILAG Post UTME Eligibility for the 2018/2019 academic session has been released. Using this medium, the Dailyschoolnews Nigeria team™ wishes to inform the Nigeria general public, especially all candidates who seeking admission into the University of Lagos, but were unable to apply for the Post-UTME screening due to the new JAMB Policy, that they can now log on to the school official portal, because the list of all qualified and eligible candidates have been updated on the school website. Type in your JAMB Registration Number and Surname in the spaces provided and proceed to generate Post-UTME Payment invoice. We are wishing all candidates who will be sitting for this academic institution screening exercise, the very Best! Please do share this information with your friends on Facebook, Twitter and Google+, using the share buttons below.